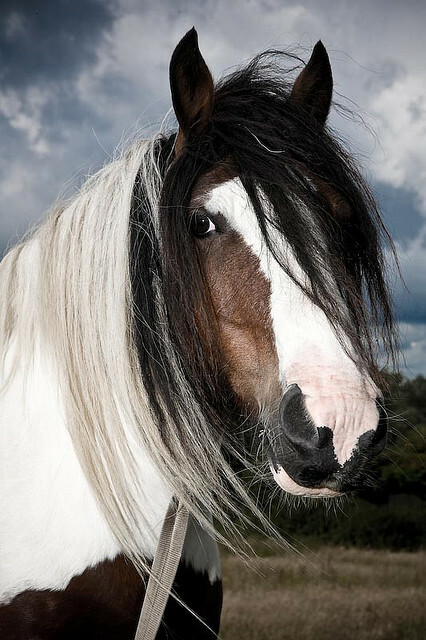 This is first of a series of Stories From The Stables, by Carolyn Ward. Learning to ride is a fabulous hobby. It can be pricey, but you can borrow a hat and crop from most stables, and start off in trousers and strong shoes. It is great exercise, very exciting, and teaches respect for animals, balance, and correct posture. When I was very young I rode at Stourton Stables, a children’s riding school where the ponies were mostly grumpy and had to be separated in the fields for fear of kicking each other to pieces. Oh, happy riding lesson days. Hours spent in icy pouring rain, in snow, in fog, and even more rarely; in lovely sunshine. The best riding times of year for me were spring and autumn, before and after the major insect season. They taught us dressage, and how to jump, and even a bit of cross country. We would also occasionally hack out (my favourite) even though the first half mile or so was along a very fast main road (hair-raising when the pony you’re riding decides point blank she will not walk past a road sign that has previously never bothered her in the slightest). Once away from the swerving and honking cars and lorries, and onto the country lanes, we all gave a sigh of relief and began to enjoy the countryside; birds singing, squirrels frolicking, more shying and bucking at crop sprayers, bits of blowing rubbish; and once, even a flying football. Sometimes we would hack through the village and admire our reflections in people’s windows. (just me then?) and ride past parked cars. Very carefully- as stirrups happen to be at a perfect height to scratch along paintwork or bump into wing mirrors whistles innocently. ‘Watch out for drain covers!’ We were warned. The ponies seemed to unerringly step over them like a cat would, even if you purposely steered them towards one just to see what they would do whistles again. Lots of funny things happened with people falling off at odd times, like when the horses were standing still. I will always remember Zebedee, a grey pony, scratching his right ear with his right back foot. With me on top. Or the time the stable girl ran down to the school and opened the gate whilst we were trotting in file – twelve ponies instantly scrambled for freedom, bolting out and up the field carting us on top, gripping the reins in sheer terror. We were given a different pony to ride each week, meaning we all had chance to ride the faster easier ones, and fair turns on the slower ‘leg-killers’ a.k.a. Sam and Topper. Sam was a massive overweight shaggy skewbald, whose fastest speed was second gear. His canter was ridiculous, the same speed as the long-legged and excitable Harvey’s walk. I had ended up with Sam for a jumping lesson – double disaster. Even getting him to move at some reasonable speed to clear the lowest poles was an exhausting challenge. Julie, the teacher, lent me a super long crop to tap his hindquarters with. Old Sam was one step ahead though, elegantly sliding to a stop just in front of the crossbars. I rolled forward and did a perfect somersault over his shoulder, landing on my feet opposite the teacher. Her face was like thunder but everyone else was laughing. She thought I’d just had enough and climbed off. She never really believed that I had fallen… that was the first of my 3 falls in over 12 years of riding, not too bad. Weirdly though, I only fall off skewbalds. I’m not sure why. Reins – the leather straps which you hold on to which attach to the ‘bit’; the steel or rubber thing in the pony’s mouth. Reins are required for helping steer (mostly done with legs) and they are the brakes. (With most horses, anyway. Some react unusually to reins). Skewbald – a type of coat colour/pattern. Piebald is black and white patches, (ie. Magpies, and pied wagtail, are black and white birds) whereas skewbald is any other colour and white- usually tones of brown. Stirrups – metal or metal and rubber things you put your feet through that are attached to the saddle by leather straps called ‘stirrup leathers’ which are tricky to adjust if your pony won’t stand still. Kymberlee Jay – Professional dancer and Remarkable Woman!